LONDON: 14 MAY 2015 - The directors of ECR Minerals plc (the “Directors”) are pleased to provide the following update with regard to the SLM gold project in La Rioja Province, Argentina. The SLM project is 100% held by ECR’s wholly owned Argentine subsidiary Ochre Mining SA (“Ochre”). A privately owned Argentine company named Esperanza Resources SA (“Esperanza”) has constructed and is in the process of commissioning a mineral processing plant (the “Plant”) in the Sierra de las Minas region of La Rioja. The Plant is configured to recover gold via gravity and flotation processes and is located approximately 4km, 9km and 44km (straight line distances) from Ochre’s JV, Maestro Agüero and El Abra gold prospects, respectively. Estimated distances by road are 8km, 12km and 79km, respectively. The Plant was visited last week by Stephen Clayson, CEO of ECR, and a meeting was held with the owners and managers of Esperanza. A non-binding memorandum of understanding (the “MoU”) was signed between Esperanza and Ochre which provides for the parties to hold discussions aimed at forming a joint venture or other commercial arrangement for the processing of ore from Ochre’s licence areas by Esperanza. There can be no assurance that such discussions will reach a satisfactory conclusion or that any arrangement will be entered into. Ochre will therefore continue to investigate the viability and economics of other potential processing options, such as heap leaching. Extraction of ore from any of Ochre’s licence areas and the development of any processing facility by Ochre would be subject to the necessary permits, including environmental permits, being obtained. No such permits have yet been applied for. 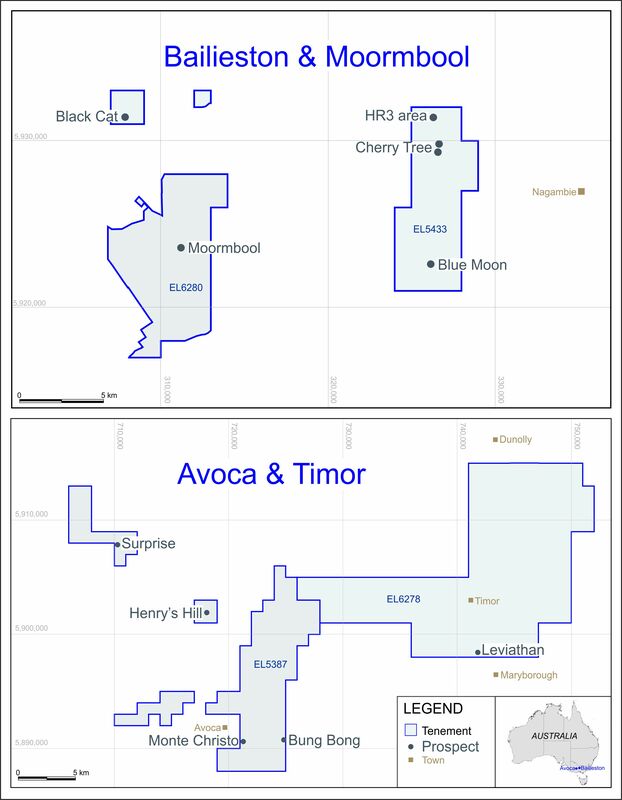 However, the Directors consider that the existence of the Plant and the willingness of the owners and managers thereof to enter into discussions with Ochre may constitute a significant opportunity in the context of the Company’s stated exploration strategy for the SLM project, which is to delineate multiple medium to high grade, low tonnage deposits suitable for advancement to production on a relatively low capital, near term basis. A further announcement will be made in due course, following the conclusion of discussions with Esperanza. Ochre has been advised that the Plant is targeting total processing capacity of 50 tonnes of ore per day by the end of year, although there is no guarantee this target will be achieved or that capacity will be available to process ore from Ochre’s licence areas. The Plant is presently processing ore extracted from a licence area located to the east of Ochre’s JV prospect. Further to the Company’s announcement of 1 May 2015, geological mapping at the JV prospect will commence in the second half of May 2015 as planned. The results of bulk sampling carried out at the Maestro Agüero prospect in March 2015 are now expected in the first half of June 2015. Both the mapping and bulk sampling results will inform discussions with Esperanza and decisions by ECR as to the next steps for the SLM project.